Back in my day, there were only two messaging apps people used: AIM and MSN Messenger. Today’s mobile-centric world is different, where aside from SMS, the market is saturated with apps like WhatsApp, Line, Facebook Messenger and Hangouts, most of which are slight variations on a the same theme. 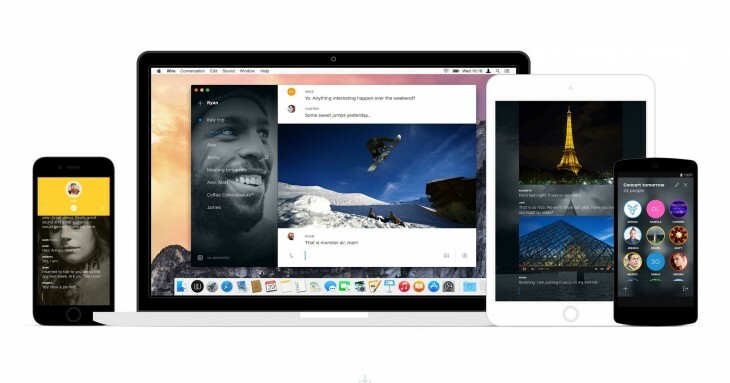 Wire, which launched only a couple of weeks ago, is the first new messaging platform in a long time to catch my eye. Literally. I started using WhatsApp and Snapchat because my friends made me; Wire I actually want to use because it just looks so darn nice. This time, I’m the one trying to get my friends to try it out. The pretty aesthetic serves a function too: I share lots of media through my messaging clients, and Wire puts it front and center. Instead of being constrained to little messaging bubbles, images fill up the screen as much as possible, YouTube videos and SoundCloud Clips are embedded inline, GIFs are animated and text is large and easily legible. All this means you’re able to talk and share with a relatively uninterrupted flow, helped by the cross-platform support (currently iOS, Android, and OSX – Windows and Web versions are coming soon) many other messaging apps still lack. Wire notes its use of modern protocols for voice calls, and indeed calls came in crystal clear. It’s still lacking some popular features – read reciepts and video clips come to mind – but it’s at least got the basics down very smoothly. Still, I mentioned earlier that I started using other messaging platforms because my friends made me, and therein lies the crux with Wire, or any new messaging platform, really: you need to get users on the platform. Whether Wire can do that with a fancy interface alone remains to be seen. I sure hope it catches on, though.